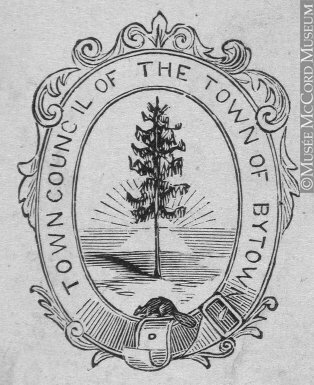 be ironic if the blacksmith figure was based on the image of our Hugh Tolmie Masson? 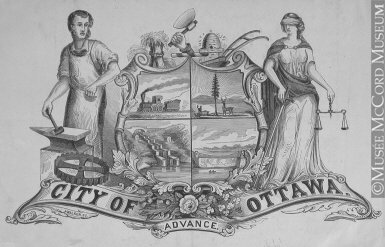 McCord Museum about a City of Ottawa coat of arms containing the figures of a blacksmith / justice etc. 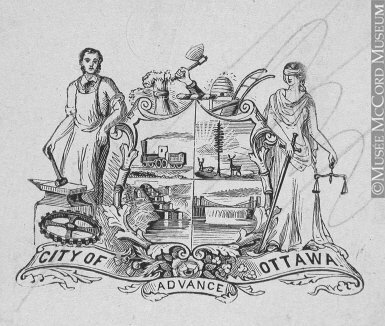 If you can pass along any other information about this coat of arms, that would be great.